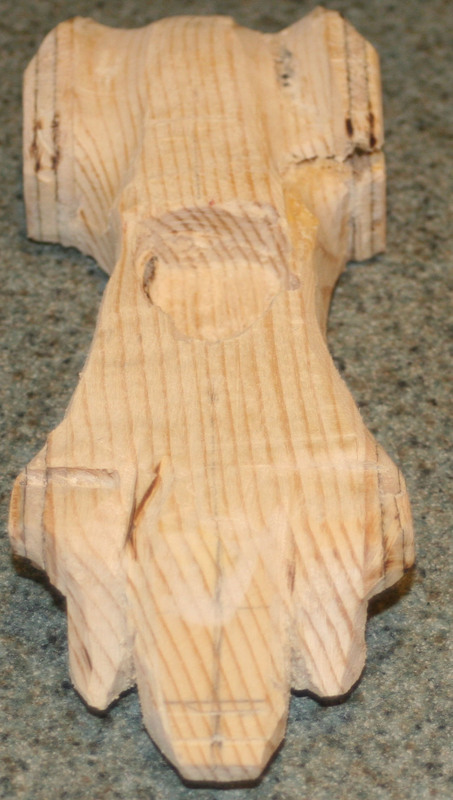 I built a pinewood derby car that resembles that Mach Six from the 2008 Speed Racer film. You can download the cutting template and see how it turned out below. 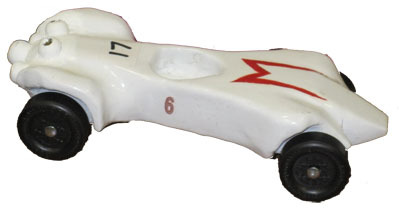 Pinewood derby cars start from a $3 kit (below). 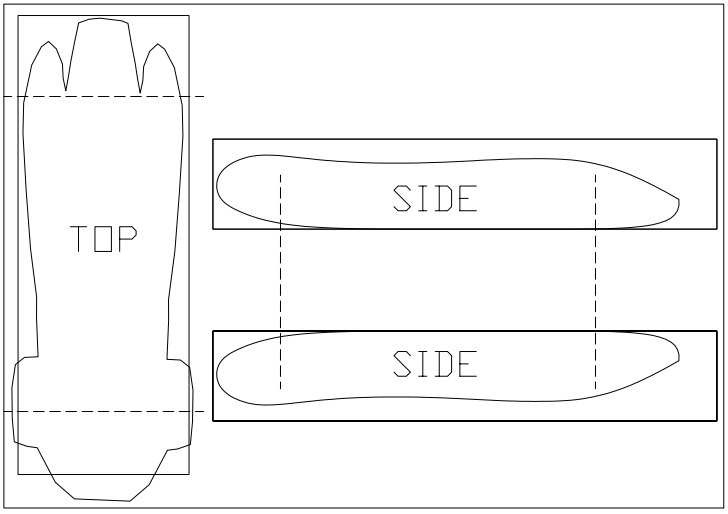 You can print out this PDF and it will be perfectly sized to the standard wooden block. The dashed lines should line up with the wheelbase. I taped the top-view of the image on the block and cut out the areas using a hacksaw. Repeated for the sides. Then some crude shaping by eye with a sanding drum attachment on a Dremel. This cut the basic shape as you can see here. I read that putting 2-3 coats of wood filler over the entire surface and lots of sanding will make the final finish very smooth.